Entry doors have long been the first thing that people notice in their home. It is the last thing you touch when you leave and the first thing that greets you when you arrive home. For that reason, we cut no corners to provide our customers with the very best options in steal and fiberglass entry doors in stunning designs to match any home. HOME GUARD® Entry Systems’ doors offer far more than “curb appeal”. They add lasting value and performance as well, thanks to a combination of quality features. HOME GUARD® Entry Systems has a reputation for excellence, for the highest quality workmanship and for the best service in the industry. This enviable reputation was built solely by the people who build our doors. Hard working and fiercely dedicated to making a better quality product, they’ve helped make HOME GUARD® Entry Systems one of the country’s most respected manufacturers of entry systems. 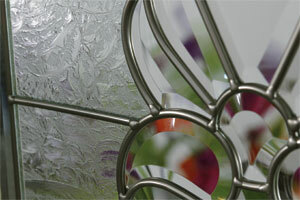 * Certain door styles do not qualify due to glass options. Decorative or clear glass – all 1” thick and thermally sealed – provides exceptional insulation while allowing natural light into your home. Features a 10-year seal failure warranty. A palette of 20 paint and seven stain finishes helps reflect your style. 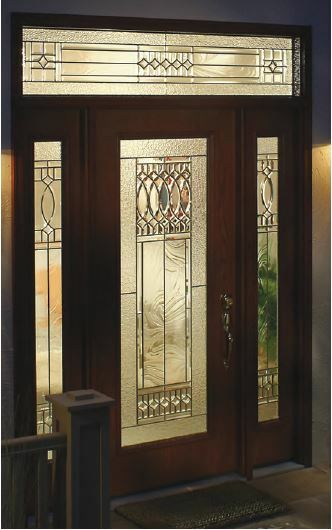 Most Home Guard steel and fiberglass entry doors are available in both a smooth surface or with an optional embossed woodgrain for the ultimate wood look finish. All steel doors are zinc-galvinized, primed and painted with a baked-on, high quality exterior paint. Of course, all HGI doors come with our exclusive seven year finish warranty. 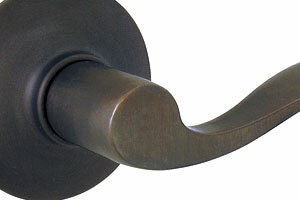 Home Guard® offers a number of hardware choices to add the finishing touches of beauty and functionality to your door. 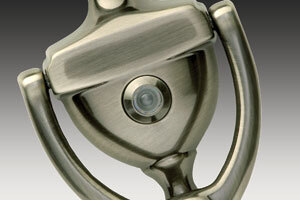 Including Schlage®, Dexter®, Kwikset®, SmartKey®, Emtek®. See your Vinyl Design representative for a full selection of options. Decorative accessories include optional door knockers, mail and magazine slots, kickplates and decorative or spring hinges are available for added security, utility and beauty. Optional steel lock reinforcement plate is available on doors with wood jambs for added protection against forced entry. Available in 20 Quality Edge™ colors of vinyl clad aluminum. ENERGY STAR® qualified entry doors can keep your house comfortable, help save money on utility bills and may qualify for Federal Energy Tax Credits. Patented adjustable hinge system allows simple adjustment of the door (5/8” up or down, 3/16” in or out) to compensate for uneven walls, natural shifts in the home or door frame, and to ensure a perfect, weather-tight seal. Available in Smooth Steel only. High dam threshold features continuous composite base that will not rot or warp. Rail and nose available in light oak woodgrain or dark brown woodgrain. Aluminum sill available in brass, mill or bronze finishes. Tubular bulb and center fin bottom door sweep weather stripping with outer rain fin diverts water away from the door and threshold. Extended sill elevates jamb to reduce water exposure while anti-wicking wood treatment prevents water wicking. Adjustable composite rail with patented flexible seal interlocks with high dam aluminum sill for an impenetrable barrier between the threshold and the interior of the house. Features a five-year warranty. Adjustable oak-look composite threshold allows simple height adjustment for perfect door alignment to seal out bottom drafts. Performance Grade Testing measures the air/water/structural load an entry door withstands when closed and locked. A PG40 rating withstands more than 50% higher water infiltration and structural loads than the industry standard ratings of PG15 and DP15. 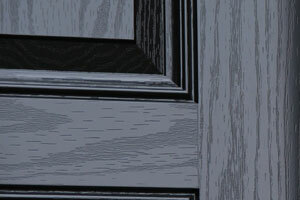 Your door’s solid polyurethane core is five times more energy efficient than wood and is environmentally safe. Durable Q-Lon™ compression weatherstripping creates a perfect, weather-tight seal between the door and the jamb for maximum sealing against air and water infiltration. Look for the Star, Find Savings! MountainView Entry Systems is proud to offer ENERGY STAR qualified entry doors that are eligible for the Federal Energy Tax Credit. In order to earn the ENERGY STAR, entry doors must meet rigid criteria for U-value and solar heat gain. 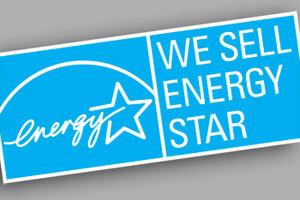 Look for the ENERGY STAR label to save money on utility bills, increase the comfort of your home, help the environment and may qualify for Federal Energy Tax Credits.